Thanks for the new bands on the small gun. They work great. (And they're starting to feel too weak!) I must be doin' something right!!! 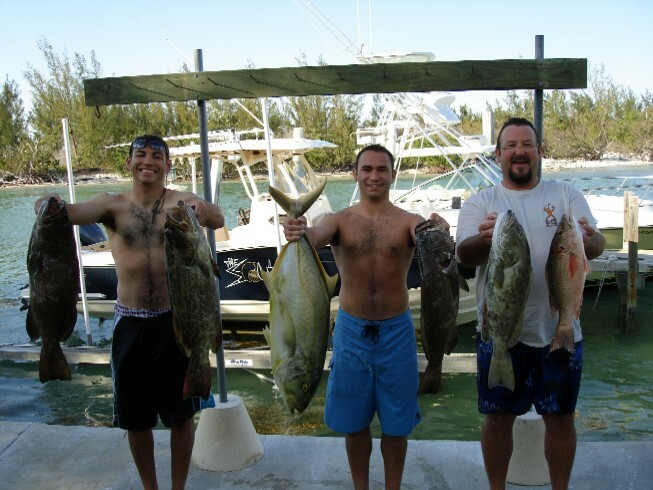 Here (from left 2 right) Nick D"Ascanio, Franco D"Ascanio, And Steven Cook Showing off their 2 hour day mixed bag. 6 Hogfish not shown! Also not shown is Franco D"Ascanio (The Elder and photographer) It's a hard, gruelling job but we manage to survive. Thanks for my 2 Titanium guns, and Franco's Carbon Fibre Gun. (Franco says that the CF gun is hard to load, but well worth the effort... BAM!!!!! !